Nobody thought of using the light bulb cameras could be used for security purpose too. The new innovative technology has so far resolved the security issues, as this is the most important problem faced by people these days. 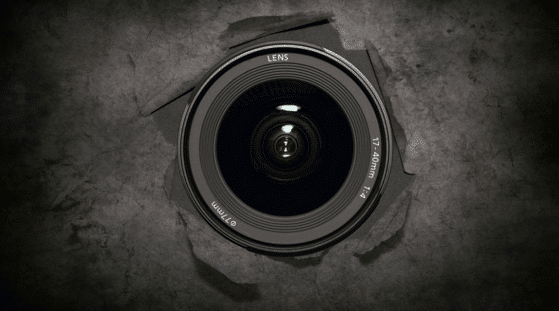 Thanks to the builders of light bulb cameras- a household item that offered the solution. 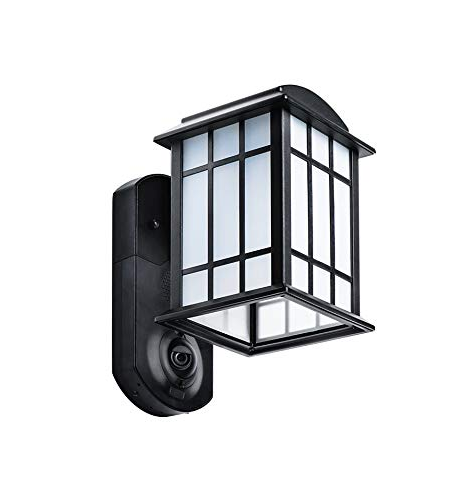 We are providing a Norco Alarm system for your house and business security, these impressive bulbs is designed in a way that is similar to those normal ones. It doesn’t require any installations as it simply gets fit in normal sockets. 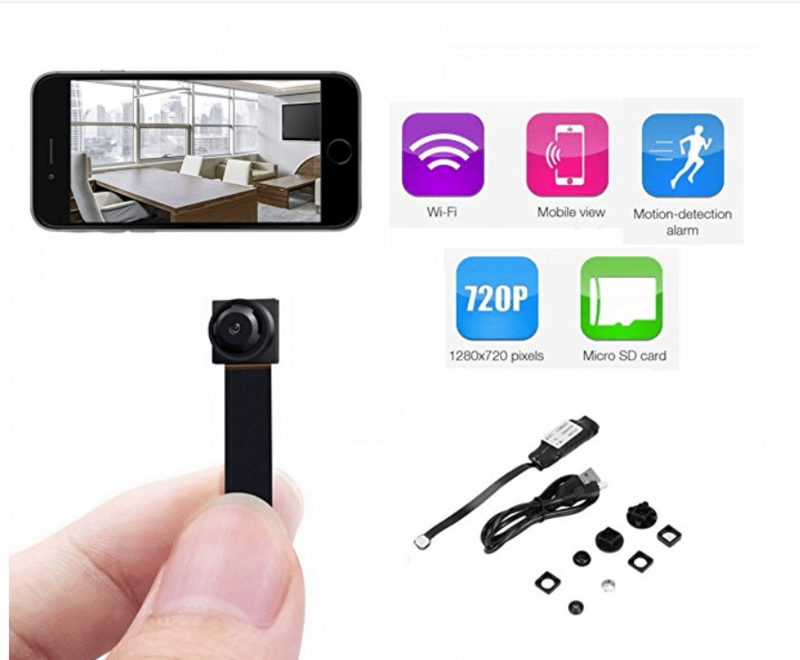 When the camera is fixed, you can keep an eye on the place where it is fixed by connecting through Wi-Fi on phones tablets or computers, wherever you are as long Wi-Fi is connected. These camera bulbs don’t require complicated procedures. You just have to scan the QR code. You’ll find the scanning code on its packaging. Scan the QR code by Application which will automatically redirect channel-providing a guide for installation. After watching the video, you will be instructed to follow the steps for this setup. Plug in the bulb into a light bulb socket. Once the QR code scanned the second time, you would be allowed to install the smart App which would instruct you further. The process might seem a bit tricky, at the end you install it, and you soon realize it is quick and easy. 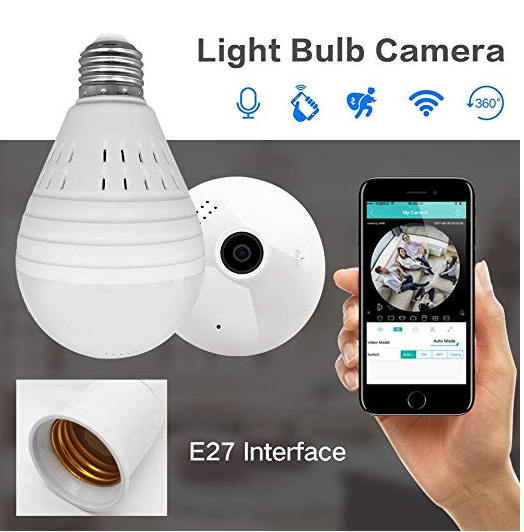 AX Security Camera Bulb is very useful for our safety. The immediate encounter of any kind of motion around the place detected, Camera notifies the shots taken directly to the connected phone or computer through an email or notification. At night as well detection services keep on working. These bulbs provide you high definition features which are the purpose of this smart light bulb camera, providing hassle-free monitoring. It also allows you to adjust viewing modes-those are 5 according to the user preference. It also rotates the maximally Rotation view and a very crystal clear picture, where it’s installed. Giving commands at your place is no way a problem using the connecting feature. Watch live and communicate with children, pet, nanny through this camera. 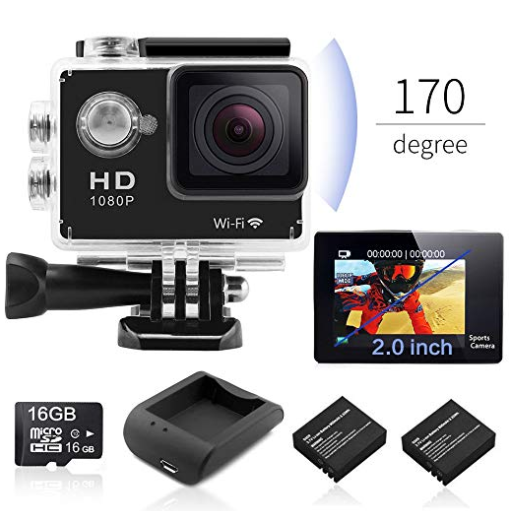 Micro SD card is excluded from his package. Wi-Fi with GHz cannot be supported by the camera. 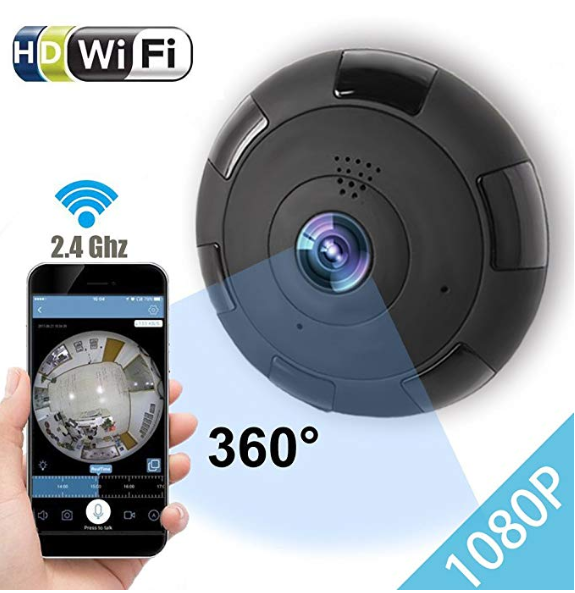 Graneywell Wi-Fi bulb camera detects up to 360 degrees angle. It covers a wider area of the place where it has been installed. Each room of your office or home is captured by installing the Graneywell bulb camera. The crystal clear pictures available from the height of the place it placed. This light bulb is easily controlled b available application for both IOS and Android. Graneywell wireless bulb supports. Security of your home is always with you no matter where you might be. It makes monitoring the pets, guiding the babysitters and children conveniently. The two-way communication makes it easier to communicate. Any movement at the place is immediately detected within the surrounding of the camera, and it is notified to your phone. This light bulb supports up to 128 GB of-of external storage. A device with a complicated setup procedure is disliked by the customers requiring the expert. The installation of Graneywelll is easy and it requires only plugging into your spiral bulb socket. The camera app is needed to be downloaded then known as VR Cam. All you have to do is register your account and then link the camera and follow the instructions directed by the Application and you are ready to monitor your place. Light bulb cameras are one of the trendy products being used in houses these days. Meisort VR13E Light Bulb Cameras can be an eye-catching product to get those impressive looks you desire for! These cameras do not only work as an ordinary light bulb but also serve for your security purpose. Yes, this ordinary looking camera helps you keep secure all the day. The best thing you’ll find about these light bulb cameras be that no expertise needed for its installation. The setup is similar to normal bulbs. Meisort VR13E light bulb camera comes along a micro-SD card with storage of 32 GB that store up to 64GBs. Meisort VR13E light bulb camera uses Smart App that is available on play store and App Store for your Android and IOS phones. This Application connects with light bulb camera, making it accessible for you so that you know what’s happening at your place. In case, you cannot keep a check on your phone, viewers can be increased as many people want to watch your place for security. Fish-eye lens of MeisortVR13E Camera Bulb is a built-in lens of 1.3 Megapixels that gives the crystal clear view of all the area around 360 degrees of the place where it has been placed. Ordinary bulbs with cheaper prices offer low-pictures that make it hard for you to use it as evidence when using the pictures for evidence. The concept of bad-quality images is forever gone with Meisort VR13E light bulb camera as it uses 960p resolution lens giving perfect high-quality pictures for the desired expectations of yours. 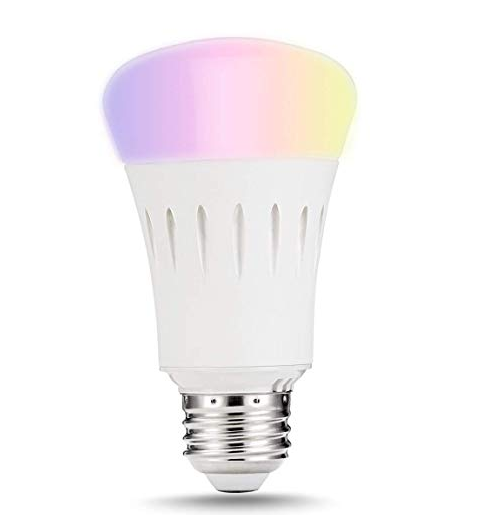 The set-up process, as mentioned already above does not require any expertise, like normal bulbs, these are plugged into the bulb socket and you are done. Lastly, you should make sure that you downloaded an application on your phone; the app is there on Google play store and App Store for both Android and Apple users. When security is concerned, it does not matter when it is day or night. 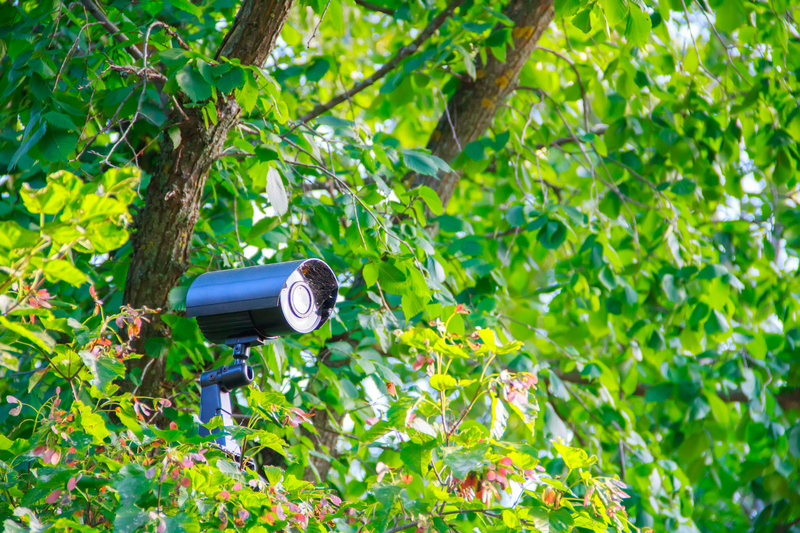 These cameras have an automatic sensor that determines when it is dark. The LED technology enables the feature of night vision mode when there is no light. The feature of turning off or on the light is connected to the Application. You can also set time for your bedtime which can automatically get dim. Other than this you can also set up your wake up time. This can be very useful to every user, its design as a customized bulb which lights brightness and colors chosen by you. It is only compatible with 2.4 GHz WLAN. Also, keep that in mind before installing it that distance between two led bulbs could be 9.8 inches it may cause signal issues. It’s only compatible with Android 4.1 and iOS 8 above. Voice commands are needed to be fixed. SDETER IP Light camera Bulb requires Smart App to get the control of your recordings and snapshots taken by the camera. The app guides for easy steps of installation of light bulb camera. A Smart App is downloaded that instructs the users. The light camera bulb is fitted in bulb socket like the normal bulbs. Sdeter light bulb detects motion around the place where it had been installed and directly sends notification on your connected phone through Smart App. This feature ensures security at its best. More than one viewer can be linked to the camera. Wi-Fi connection is a must for getting alerts on your phone. The SDETER IP light camera captures 360 degrees angles of view where it is placed. Everything is recorded and your phone gets alerts for every moment. High-quality images are captured and recorded with no spots in its images and videos. This feature gives you full access to the culprit for finding accurate shreds of evidence. The camera is installed at a height and corner of the place that allows it to capture every single thing occurring at the place of its installation. There is no way to blurred images and videos taken by the camera. If you are busy and not able to look at your place, more than one viewer can be added to look after your property or home. This feature gives you full access to communicate, as long as your phone is connected to Wi-Fi. Two-way interaction can help you, for instance, to talk or listen to your children, guide your workers or pets at your place and much more for communicating with people at your place. Security is never a compromise when it comes to your property or home. The SDETER IP Light bulb camera is built with detection of light sensors. At night time, the IR technology senses the darkness at your place and the night vision feature is turned on automatically, allowing it to record and take pictures effectively. This feature of night mode is controlled by the Smart App and if the light camera is placed in your bedroom, the light can be turned off. The Sdeter IP supports up to 132GB micro SD card. Customer service is also provided if the problems regarding with installation or performance of the light bulb camera. It does not support 5GH Wi-Fi.